“Yes,” says the U.S. Court of Appeals for the Third Circuit. The Third Circuit in Mirza v. Insurance Administrator of America, Inc., et al. recently held that a plan administrator violated section 503 of the Employee Retirement Income Security Act of 1974 (“ERISA”) for failing to disclose in a benefits appeal denial the plan’s 12 month limitations period for a claimant to bring a lawsuit on the benefits denial. The recent Third Circuit ruling confirms a best practice for benefit plan administrators: if your plan document designates a certain period of time by which a claimant can bring a lawsuit on a denied benefit claim, you should include a notice of such deadline in your benefit denial letters. In ERISA section 503, Congress granted the U.S. Department of Labor (“DOL”) the authority to create regulations that set forth procedures for determining benefit claims and to afford claimants an internal right of appeal. The claims regulations promulgated by the DOL under ERISA section 503 require, among other things, that a plan administrator who denies a request for benefits to set forth in the initial claim denial a “description of the plan’s review procedures and the time limits applicable to such procedures, including a statement of the claimants’ right to bring a civil action . . .” 29 C.F.R. § 2560.503-1(g)(1)(iv). 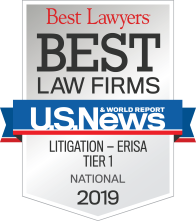 ERISA does not provide a statute of limitations for lawsuits brought under section 502(a)(1)(B) of ERISA to recover benefits. The only statute of limitations contained in ERISA (ERISA section 413) is for a breach of fiduciary duty claim. In light of ERISA’s silence on a limitations period for benefits claims, courts borrow the most closely analogous state statute of limitations — typically a breach of written contract statute of limitations — and apply that to the action for benefits. Plans can choose to specify a different limitations period, and often specify a shorter limitations period than the analogous state statute of limitations. The U.S. Supreme Court in Heimeshoff v. Hartford Life & Accident Insurance Co., 134 S.Ct. 604 (2013), upheld a limitations period contained in a plan document where the limitations period is not unreasonably short and no controlling statute prevented the limitations provision from taking effect. Dr. Neville Mirza was a medical provider who treated N.G. and to whom N.G. assigned the right to pursue a benefit claim from the health plan in which N.G. participated. Mirza brought an action to recover payment of the denied $34,500 benefit claim from Insurance Administrator of America, Inc. (“IAA”) (the plan’s claims administrator) and Challenge Printing Company of the Carolinas, Inc. (“Challenge”) (the plan sponsor). The Challenge plan provided that “no legal action may be commenced or maintained to recover benefits under the Plan more than 12 months after the final review/appeal decision by the Plan Administrator has been rendered (or deemed rendered).” Mirza submitted a claim for medical services to IAA for payment under the Plan for services provided to N.G. IAA denied the claim, and Mirza subsequently appealed that denial through two levels of appeal. On August 12, 2010, IAA sent Mirza a final written determination denying his claim and advising him that he had a right to bring a civil action under ERISA section 502(a). None of IAA’s written determinations of the benefit claim or appeal stated that, under the Plan, the claimant had only 12 months to bring a civil action under ERISA section 502(a), despite the appeal denial letter’s statement that the claimant had a right to bring a civil action under Section 502(a). Mirza engaged The Law Office of Sean R. Callagy (the “Callagy Firm”) sometime between the final appeal denial letter in August 2010 and February 10, 2011. Around the same time that Mirza had submitted a claim and appeal, IAA also handled a separate appeal from another provider, Spine Orthopedics Sports (“SOS”), for the same Plan participant, N.G., and the same Plan. The Callagy Firm (which represented Mirza) represented SOS during the appeal process. During the course of SOS’s pursuit of a claim and an appeal, on November 23, 2010 (some 3 months after Mirza received a final determination on his appeal from IAA), IAA advised a member of the Callagy Firm that the Plan had a one year contractual statute of limitations to initiate a civil action. IAA finally denied SOS’s appeal on April 11, 2011 and provided a copy of the Plan with the denial letter. The Callagy Firm on behalf of Mirza commenced a lawsuit stemming from the denial of benefits under the Plan on March 8, 2012. IAA and Challenge moved for summary judgment on the grounds that Mirza’s action was time-barred by the Plan’s 12 month statute of limitations. The district court held that the 12 month time limit specified in the plan was not manifestly unreasonably and was therefore enforceable. The district court rejected Mirza’s argument that IAA’s failure to advise Mirza of the plan’s deadline for claimants to seek judicial review in the final denial letter equitably tolled the plan’s time limitation. On appeal, the Third Circuit reversed and remanded the decision by the district court. The Third Circuit held that plan administrators must inform claimants of plan-imposed deadlines for judicial review in their benefit denial letters. Where the plan administrator fails to do so, the Third Circuit held that a court should set aside the plan’s time limit and apply the limitations period from the most analogous state-law cause of action. Applying New Jersey’s six year statute of limitations for breach of contract claims, the Third Circuit held that Mirza filed his complaint within the statutory limitations period. In holding that the defendants had violated the regulatory provision, the Third Circuit noted that its interpretation of the regulation was consistent with that of the First and Sixth Circuit Courts of Appeals in Ortega Candelaria v. Orthobiologics LLC, 661 F.3d 675 (1st Cir. 2011) and Moyer v. Metro. Life Ins. Co., 762 F.3d 503 (6th Cir. 2014). Both the First and Sixth Circuit held that the regulation included the right to bring a civil action as part of the procedures for which time limits must be provided. The Third Circuit distinguished the rulings that upheld plan-imposed limitations periods even though the denial letters did not include notification of the limitations period in Second and Ninth Circuit Courts of Appeal in Heimeshoff v. Hartford Life & Accident Ins. Co., 496 F. App’x 129 (2d Cir. 2012), and Scharff v. Raytheon Co. Short Term Disability Plan, 581 F.3d 899 (9th Cir. 2009), on the basis that those other Circuit court decisions were decided under federal common law and the court did not interpret the DOL claims regulations. The Third Circuit noted that in Scharff, the plaintiff did not rely on the language of the DOL claims regulations to argue that defendant’s failure to disclose the plan’s contractual limitations period in a denial letter violated a regulatory requirement and instead argued that the defendant violated the doctrine of “reasonable expectations” under federal common law. The Ninth Circuit held that the defendant’s disclosures in other documents were sufficient to not run afoul of the reasonable expectations doctrine. In Heimeshoff, which was later appealed to the Supreme Court, the Second Circuit chose not to base its decision on the DOL claims regulations and instead held that the plaintiff in that case had notice of the limitation and was therefore not entitled to equitable tolling. The Third Circuit pointed out certain practical considerations for its interpretation of the regulation. First, it felt that if defendants were not required to disclose a plan-imposed time limit for seeking judicial review of a denied benefit claim, plan administrators could bury the limitation period in a lengthy plan document and not have any obligation to disclose it in a significantly shorter claim denial letter that the participant was more likely to read. The Third Circuit also believed that by not including a statute of limitations in ERISA for benefit claims, Congress delegated the authority to plan administrators and fiduciaries to develop their own deadlines for judicial review and the DOL thought it important to ensure that benefit denial letters informed claimants of deadlines for judicial review in the benefit denial letters. It felt that the requirement to inform claimants of the plan-imposed time limit to bring a lawsuit imposed but a “trivial burden” on plan administrators. 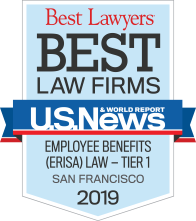 The Third Circuit held, following the Sixth Circuit’s decision in Moyer, that failure to so inform claimants renders the adverse benefit determination not in substantial compliance with ERISA section 503. The Third Circuit found no need to apply equitable tolling and found no need to reach the issue of whether Mirza, through his law firm’s work on another provider’s claim, was on notice of the plan’s contractual limitations period. It felt that if court allowed plan administrators argue that claimants were on notice of the contractual limitations period or otherwise failed to exercise reasonable diligence, plan administrators would have no reason to comply with the DOL claims regulations which the Third Circuit believed required disclosure of the plan-imposed deadline in the adverse benefit determination. The Third Circuit held that the proper remedy was to set aside the plan’s 12 month limitations period for filing a lawsuit and to instead apply New Jersey’s six-year breach of contract statute of limitations. It reversed the district court’s decision and remanded the case back to the district court for further proceedings. The Third Circuit’s opinion deepens a split among the federal courts of appeals on the disclosure question. The Third Circuit agreed with the federal Courts of Appeals for the First and Sixth Circuits that plan administrators must inform participants of any plan-imposed deadline for bringing a civil action under ERISA section 502 in the benefit denial letters. The Ninth Circuit in Scharff and Eleventh Circuit in Wilson v. Standard Insurance Co., 2015 WL 3477864 (11th Cir. June 3, 2015), have previously ruled the other way. In the face of disagreement among the federal courts of appeals, the issue may be one that the Supreme Court will eventually choose to decide. Many plans have their own contractual limitations period for suing on a denied benefit claim, especially after the Supreme Court’s ruling in Heimeshoff upheld the enforceability of plan-imposed deadlines to request judicial review. The contractual limitations periods often are shorter than the analogous state statute of limitations that courts would apply to an ERISA benefits claim, and in that way, the contractual limitations periods provide earlier closure to disputes over benefits and thereby added security to plan administrators and plan sponsors. For those plans that have limitations periods for judicial review written into the plan document, we think the Third Circuit ruling offers an opportunity to further protect plan fiduciaries by improving the content of benefit denial letters — even those plan fiduciaries that are in jurisdictions outside of the Third Circuit. Although the courts of appeals disagree as to whether the DOL claims regulations require disclosure of a plan’s contractual limitations period, we think that the best practice — the safest practice — is for plan administrators to disclose any plan-imposed deadlines in the benefit claims and appeal denial letters.